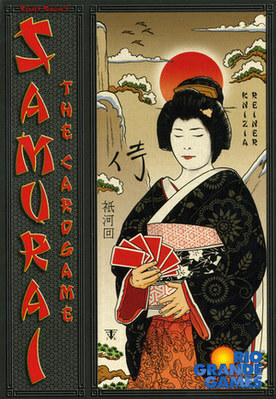 I admit it – I’ve never played the original Samurai game by Reiner Knizia which is a classic. I’ve wanted to as I’ve always read that it’s a great game but I’ve just never had the opportunity. So, I definitely wanted to play the card game version at Spiel 09.